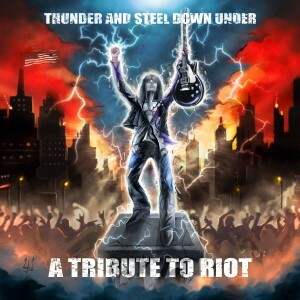 Thunder Aan Steel Down Under – A Tribute To Riot – Skol Records – Out Now. Riot came to my attention with their killer release from 1981 “Fire Down Under”. Later I also heard tracks from the first two albums! This tribute emphasizes on the first six albums from this very underrated band. Their best album “Fire Down Under” is represented with 4 tracks and their turning point album “Thundersteel” gets three hits. Axel Rudi Pell brings a thundering version of “Warrior” from that debut “Rock City” (1977). Other highlights are the high vocal version of “Sign Of The Crimson Storm” from 1988’s “Thundersteel”. Alpha Tiger from Germany grants us a modern speedy version of “Flight Of The Warrior” with a super bass sound! The others Germans from Stallion gave “Rock City” a sleazy jacket. “Altar Of The King” also gets a modern restyling by USA band Evil United! But the one that gets me all wild is the slightly ‘dirty’ version of that classic “Road Racin’” from Night Demon! 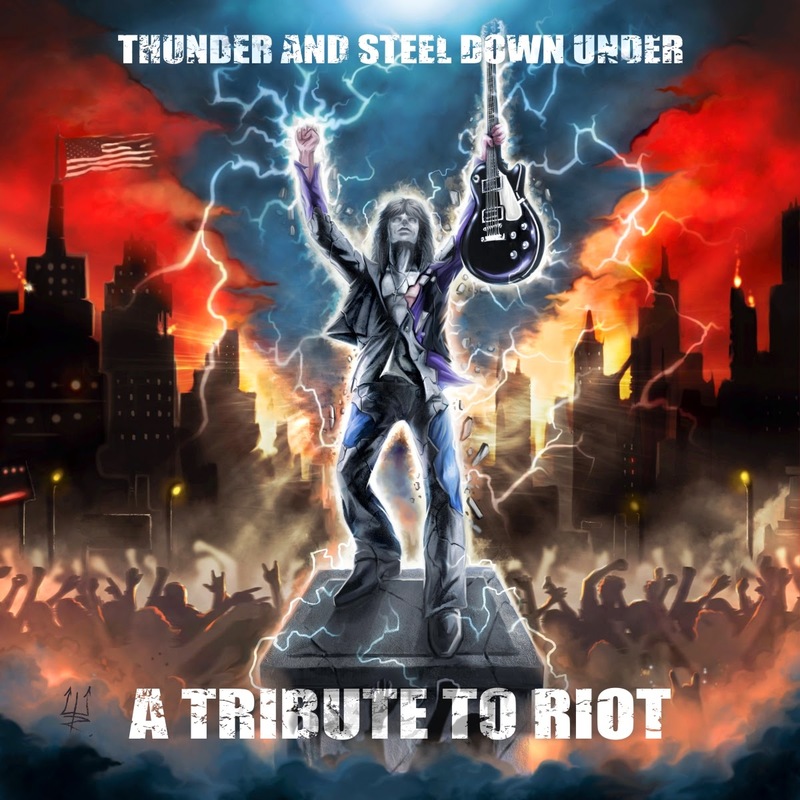 And finally “Thundersteel” by Crystal Viper sounds heavenly, with the help from Riot V (name for the ‘new’ Riot) singer Todd Michael Hall. An ideal tribute for a boring trip with the car! Traffic jams will never be the same as before!